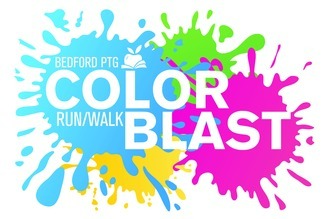 Get Ready for the Most Colorful, Fun-Filled Day of Your Life as PTG hosts another Color Blast Fun Run/Walk, to be held on Sunday, June 2nd at BHS/RAL Campus. We need lots of volunteers to make this a successful community event. Come prepared to have fun and get colorful while you help out at this amazing event. Event day volunteers can check in for detailed instructions and get their volunteer t-shirts at the Volunteer Check In Station on BHS/RAL campus starting at 8am located next to Registration (early arriving volunteers can check in at registration table). Friday night helpers, check in at McKelvie canopy area. You won't want to miss this Color Blast Event! Help with bib, swag bag, and t-shirt pick up before race. I work for Hannaford on Kilton Rd and I very excited we are participating in this. Assist where needed. Arrive any time between 7am and 11am. Set up color stations, water table, hang signage and general race route set up. Check in registered runners and register new runners. Check in and inform volunteers where to go. "Blast" runners with color powder as they pass. Must be at least 15 years old. Assist with color station clean up. Set up and hand out food items and/or assist with selling raffle tickets. Help break down race and clean campus area.